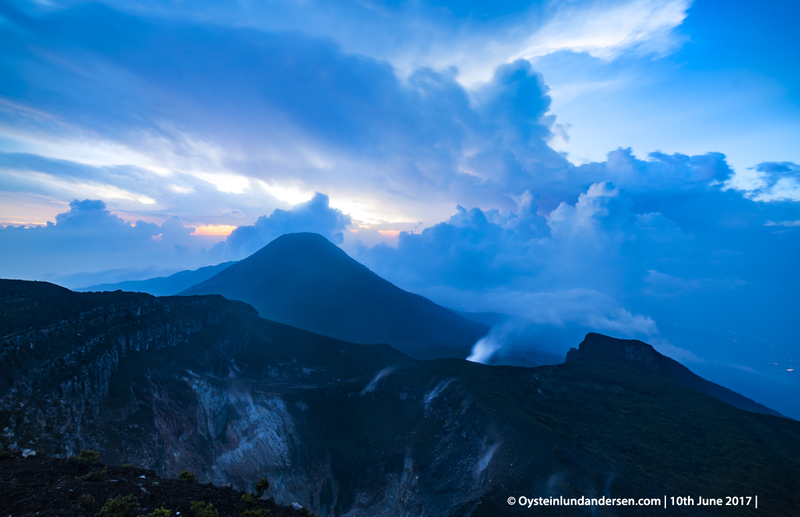 Gede volcano is one of the most prominent in western Java, forming a twin volcano with Pangrango volcano. 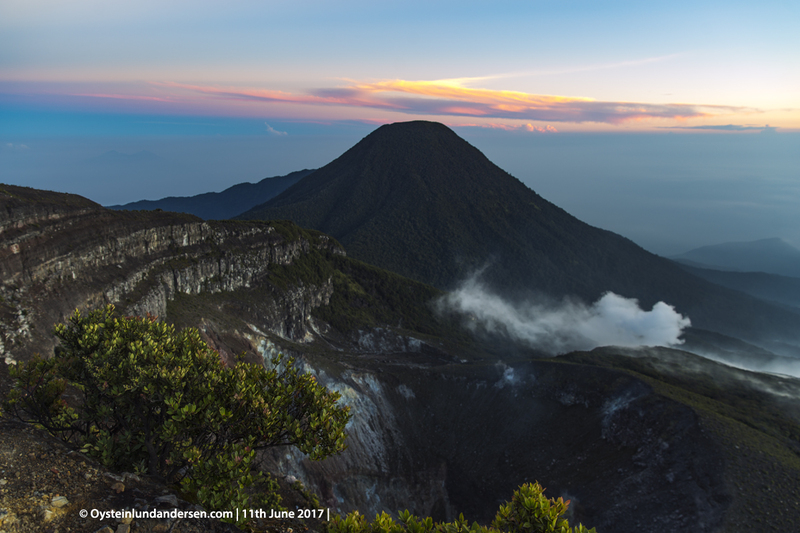 Gunung Pangrango, constructed over the NE rim of a 3 x 5 km caldera, forms the high point of the complex at just over 3000 m elevation. 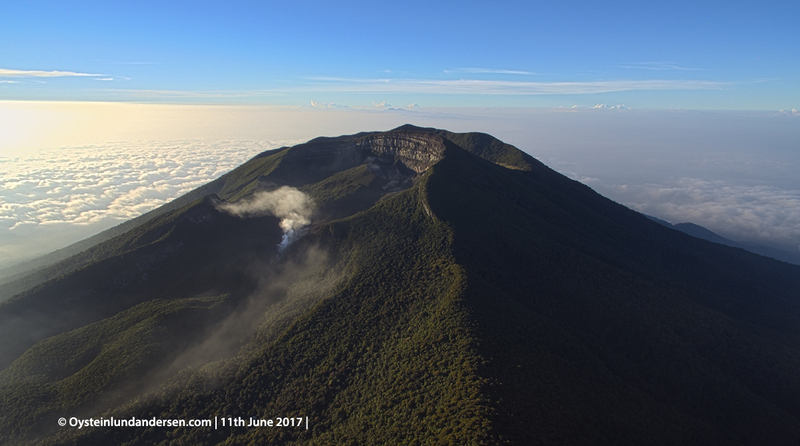 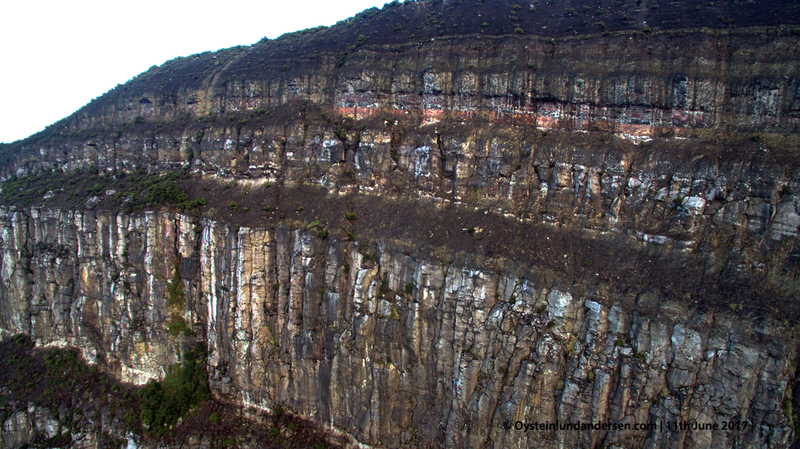 Many lava flows are visible on the flanks of the younger Gunung Gede, including some that may have been erupted in historical time. 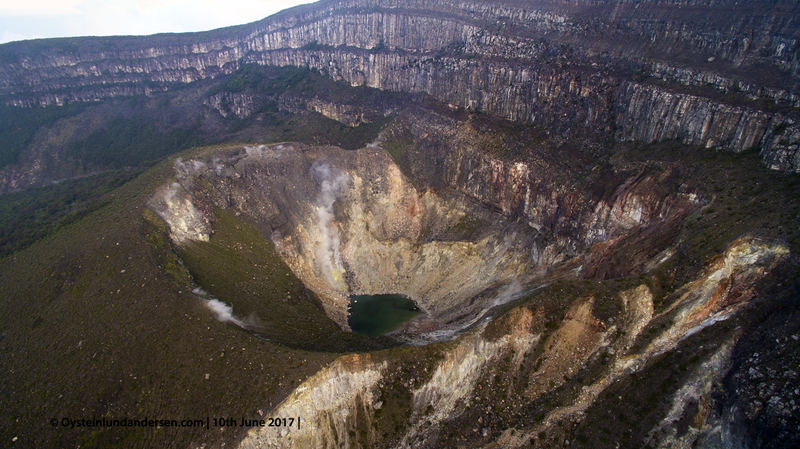 The steep-walled summit crater has migrated about 1 km NNW over time. 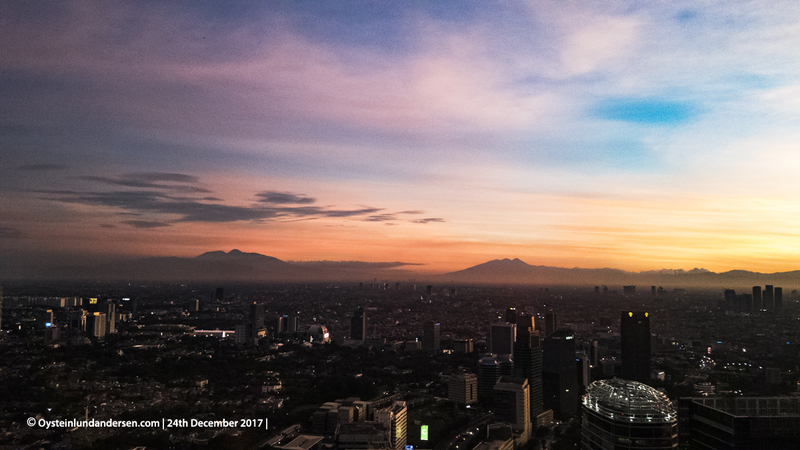 Gede-Pangrango volcano (left) and Salak volcano (right) clearly visible during sunset in Jakarta – 28th March. 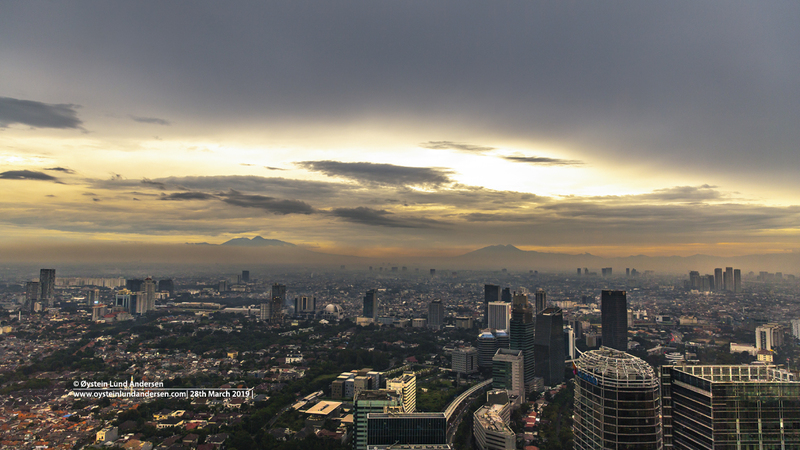 Gede-Pangrango during sunset in the capital of Indonesia: Jakarta – 28th March. 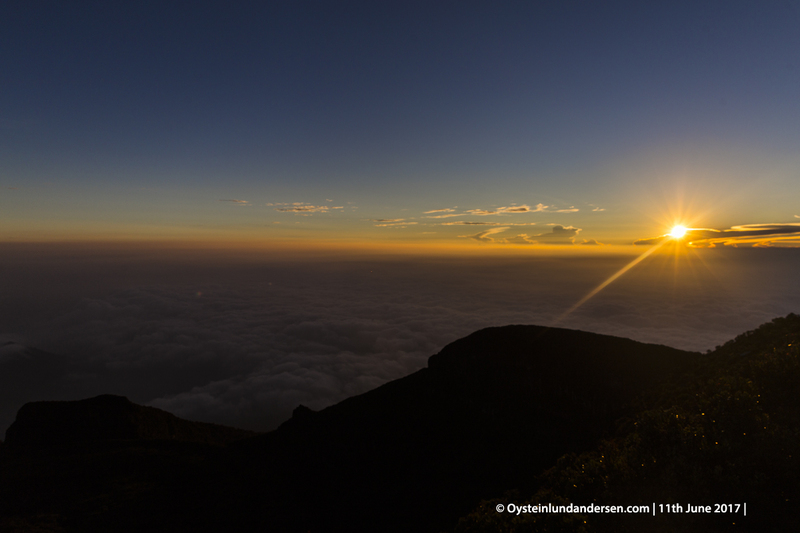 Sunset. 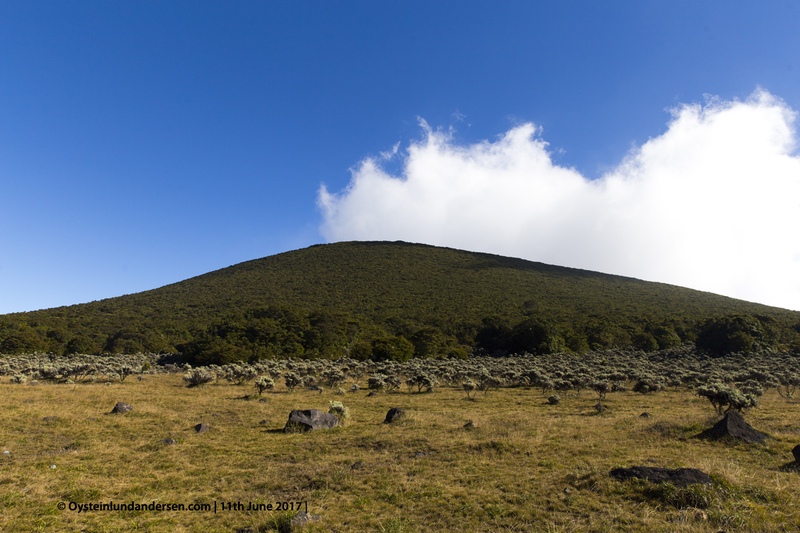 The peak in the background is Mt. 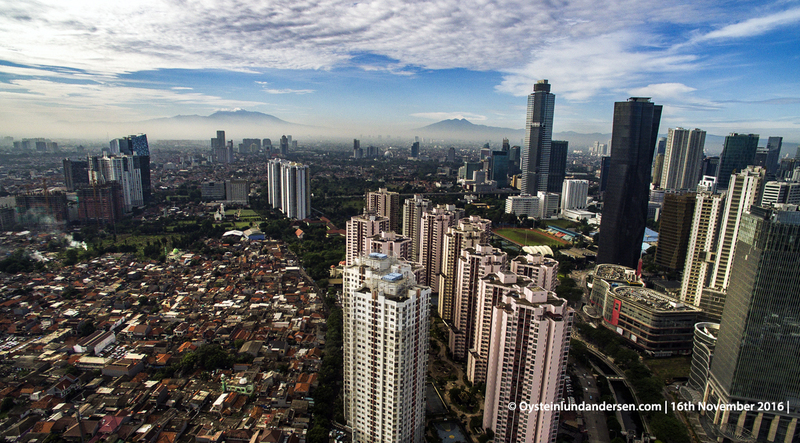 Pangrango. 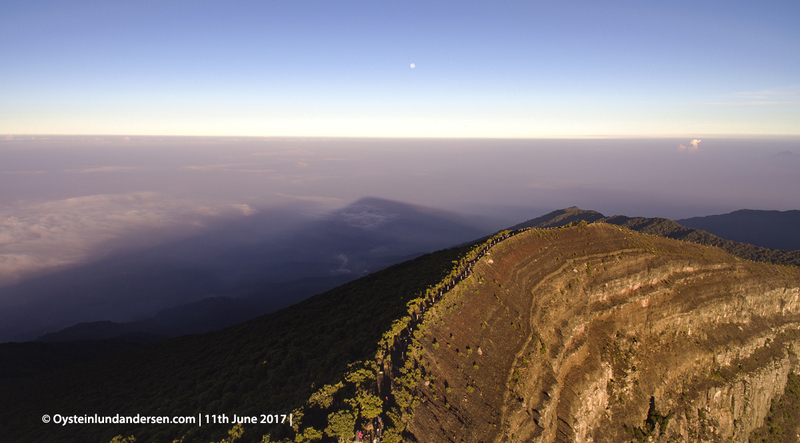 The shadow of Gede-Pangrango during sunrise. 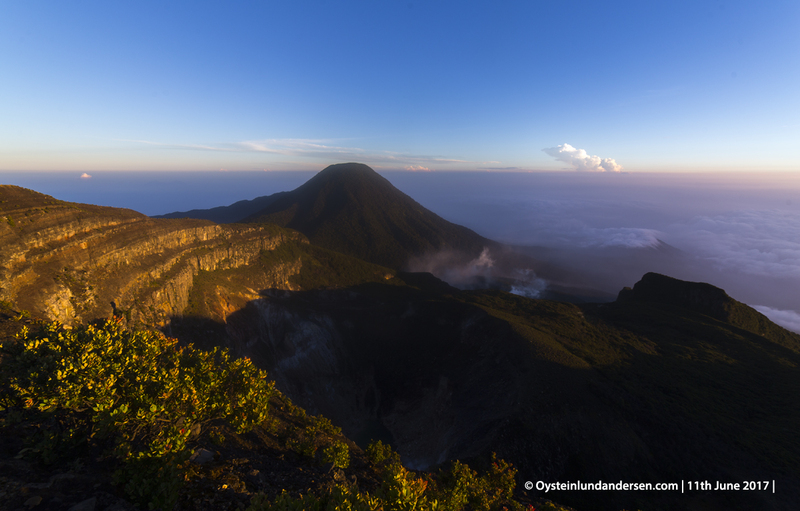 Gede seen from a distance. 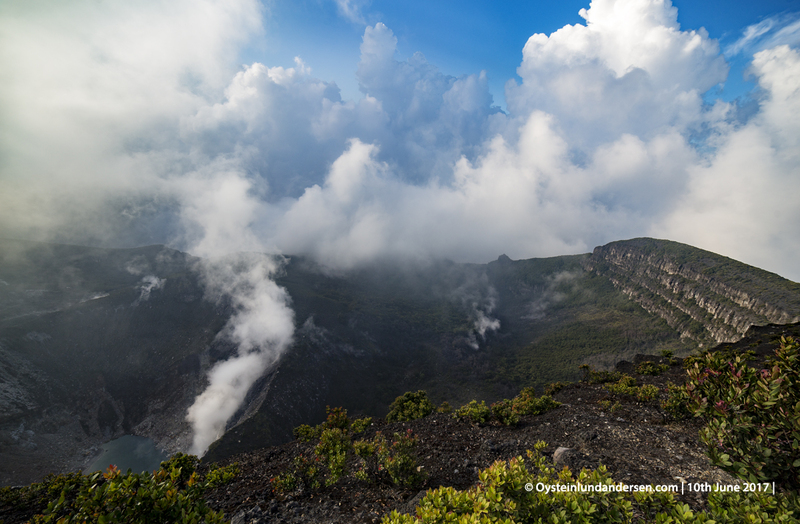 The gas/steam plume below originates from the solfataric area, known as Kawah Wadon crater. 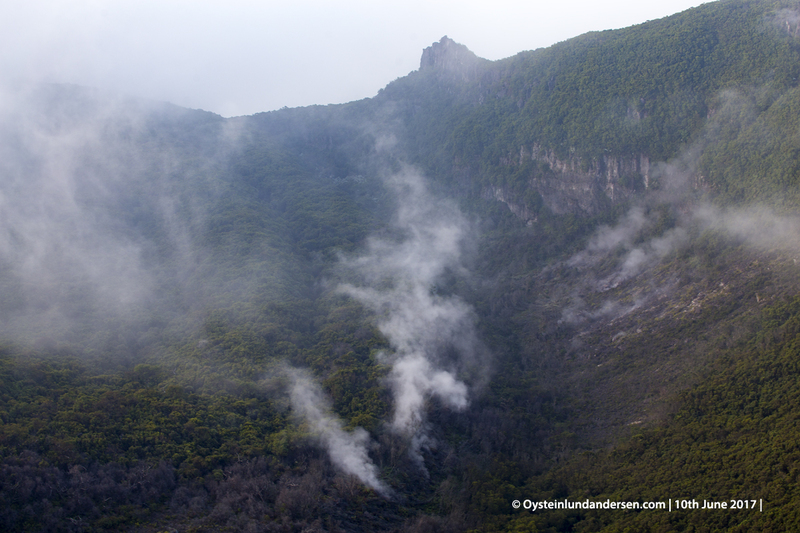 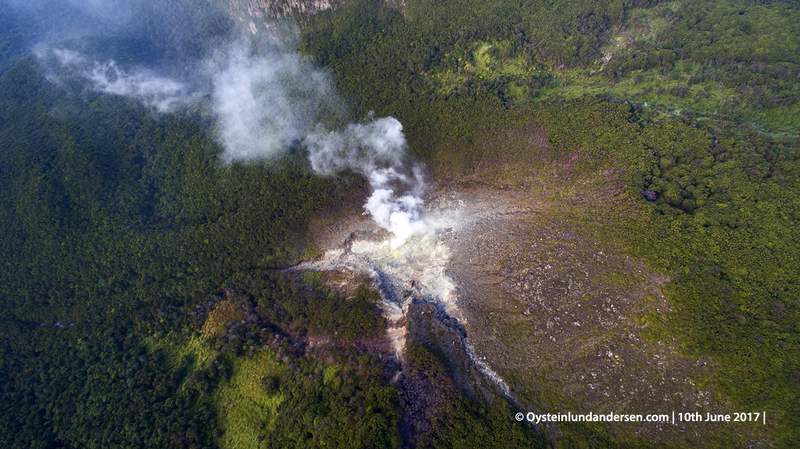 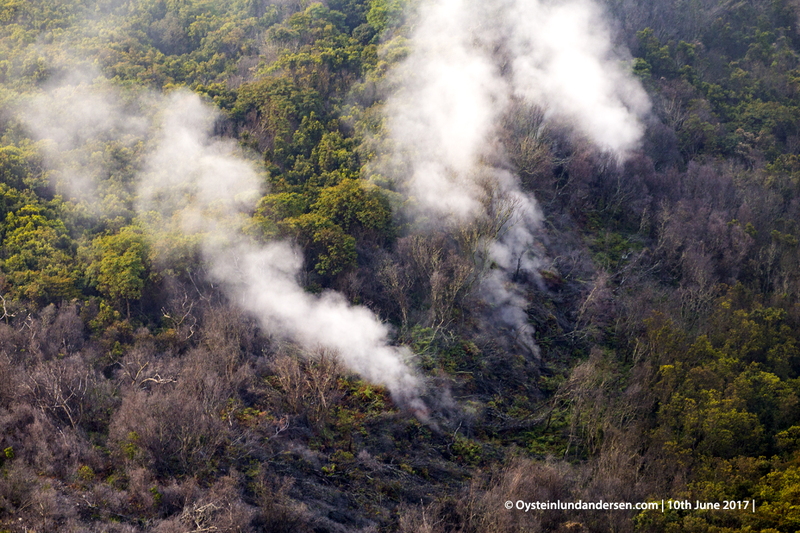 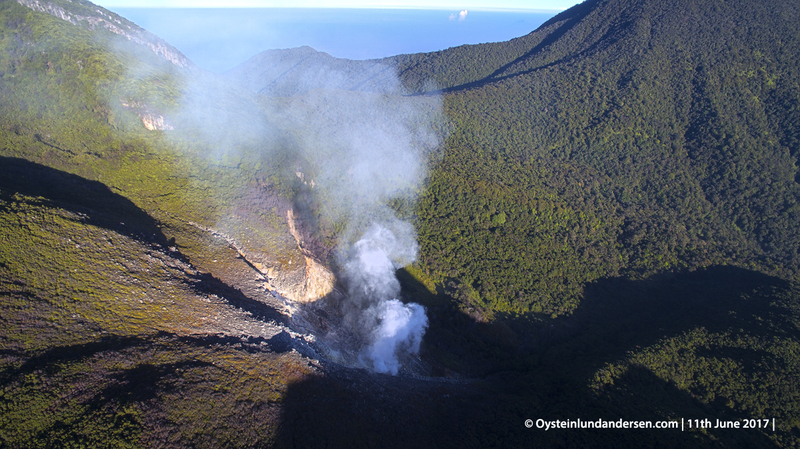 Within the forested summit crater, there seems to be an eroded lava-dome or old lava flow, below the active Kawah-Ratu crater. 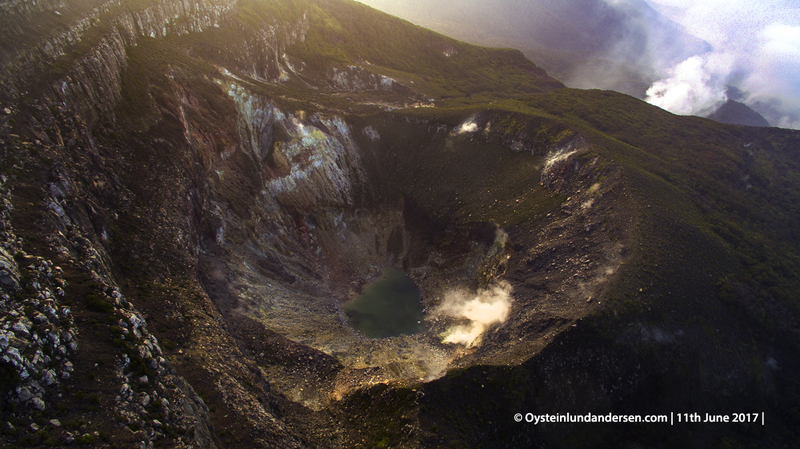 Kawah ratu crater, which is located within the greater summit crater. 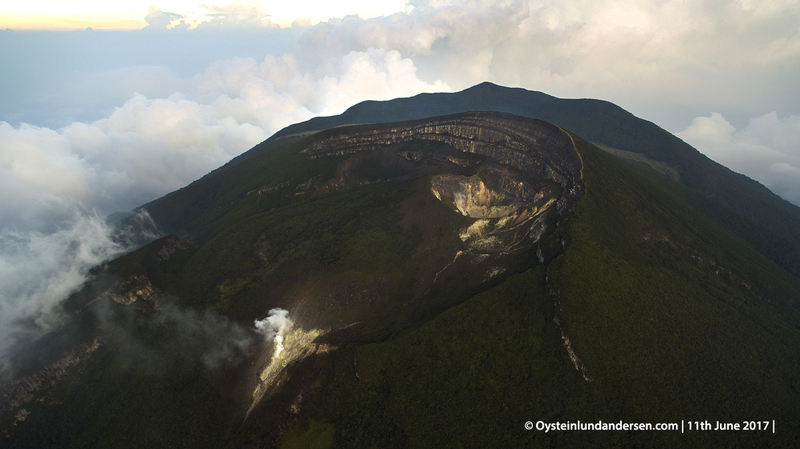 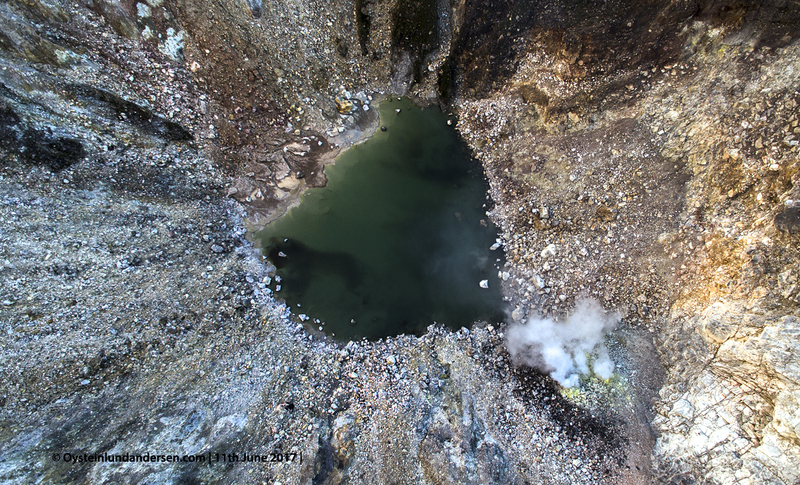 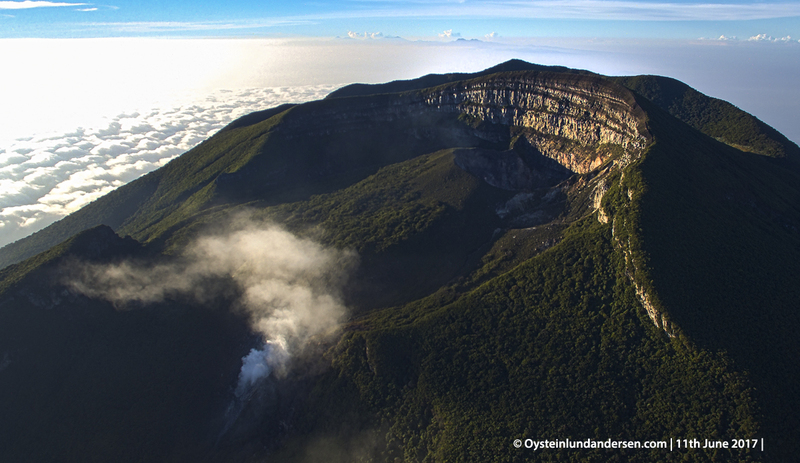 It has numerous active fumaroles and a crater-lake. 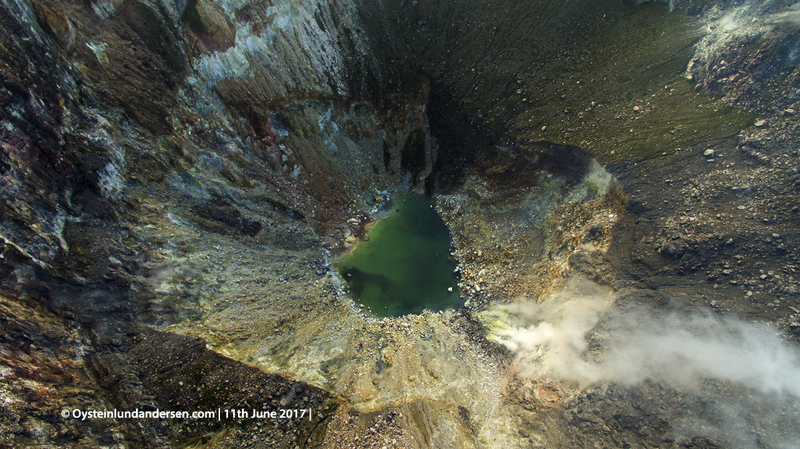 Kawah Wadon crater seen from above. 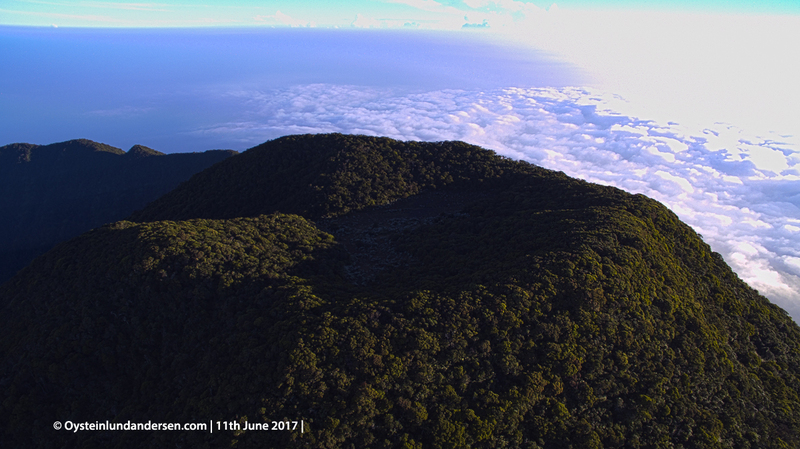 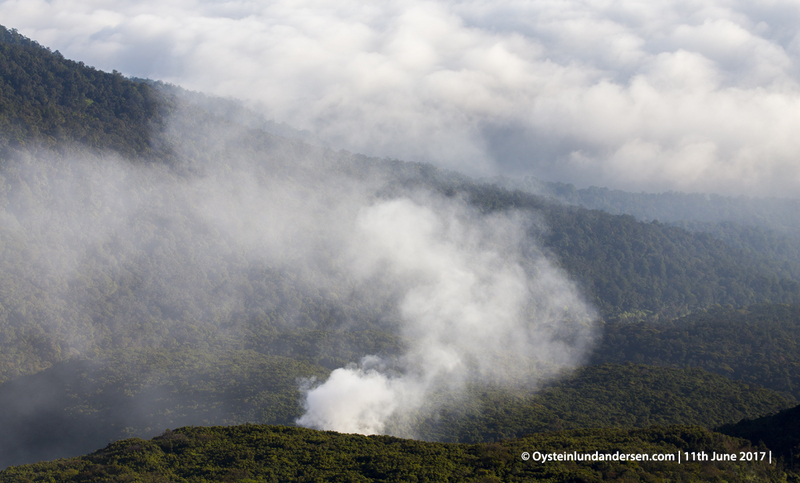 This sparsly vegetated area below Gede is the rim of an old crater, Gede being its summit-cone. 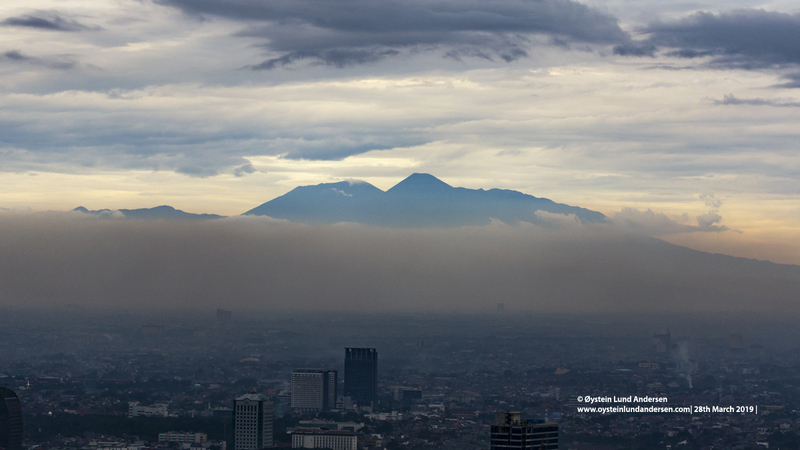 Gede-Pangrango volcano (upper left) and Salak Volcano (upper right), seen on clear day from Jakarta.